Rick Williamson joined Redtail’s staff in 2011, and made an immediate impact assisting with numerous Marketing, Presentation and Partner/Integration projects. He is now Redtail’s Managing Team Lead for Training. 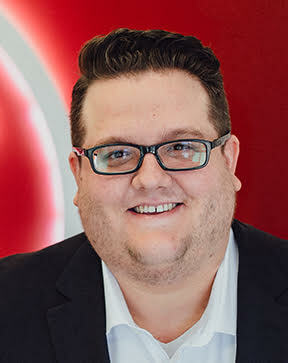 Rick’s background prior to joining Redtail includes a degree in film production and screenwriting, as well as a stint providing superior guest experiences for visitors to Disney World in Orlando, Florida. So, I just got a CRM. How do I set this thing up? Implementation of a new CRM solution within your practice can be overwhelming if you fail to see the forest and the trees. You have to determine both where you want to go with your CRM and what steps are needed to get there. The great news is many before you have blazed this path and we can offer practical tips and information to guide you home. So, before we dive in, what should you be aiming for as you begin the process of setting up your CRM? We’d recommend you focus on a combination of data and process setup to create the efficiencies that make effectiveness possible, with a heavier focus on data setup in the very beginning. Establishing best data practices within your CRM isn’t as simple as spelling last names correctly or making sure you have clients’ home addresses correct. Sure, those are a part of it, but there is so much more to think about when it comes to how you want your data to be stored in a CRM. Many CRMs, including Redtail, provide you with levels of customization to take into account, along with numerous fields to track information you may have never even considered collecting before. This can be daunting at the beginning, but if you stay focused and organized you can establish a solid foundation of data to further build upon over time. There are numerous directions you can attack from, and plenty of ways to tackle the organization of your clients in the CRM. We’ve found it’s typically best if you approach the data using a rule of threes: three questions you should be asking yourself, and three types of data you can consider when answering those questions. What info about my clients do I care most about? What info about my clients is still NEEDED, even if I don’t care much about it? What info am I not collecting that maybe I should take a look at? Each of these questions, in and of itself, can potentially be problematic and become a rabbit hole of confusion as you try to exhaustively list the things that matter about your clients. This is why it’s important to compartmentalize your information into easily digestible chunks, using the three types of data that go into building a CRM: Rolodex, CRM, and Historical. Don’t worry about those three questions any further for now – we’ll come back to them. Rolodex Data refers to the items you’d typically see in a good old-fashioned Rolodex. We’re talking phone numbers, email addresses, physical addresses, dates of birth, tax ids, etc. These are the simple, bare-bones pieces of information about your clients that every single financial office should already have on file somewhere or another. Sure, you can dive deeper into each type, such as home phone numbers and cell phone numbers, but ultimately they all fall under the umbrella of Rolodex data. CRM Data is the information that makes your CRM actually work like a CRM. Most CRMs out there provide the ability for you to segment your clients on multiple levels, such as a Status or a Category. Status acts as the high level identifier that differentiates between, say, a Client and a Prospect, whereas Category then helps further define your Status. For example, a contact with the Status of ACTIVE could also have a Category of AAA, AA, or A, or Gold, Silver, or Bronze. Each of these identifies what type of Active Client they are. Beyond Statuses and Categories, however, there’s EVERYTHING ELSE. This is where things can get daunting. Custom fields help you record personal items that you care about, such as Coffee Preference, Alma Mater, or Pet’s Name. Keywords help identify other more specific groupings which a contact may be a part of, such as all of your Insurance Clients, or contacts who receive your Newsletter. Other items that are often tracked by financial professionals include Driver’s License information, Sources, and the many different relationships between their contacts, such as Centers of Influence, Referrals, or Employers. Make no mistake: understanding and setting up your CRM Data is going to be one of the more time-intensive thing you undertake when implementing your CRM. There are dozens upon dozens of possible pieces of info for you to collect, and we encourage you to go through your CRM contact record to look at all the empty fields you have and determine what you may be able to fill out. 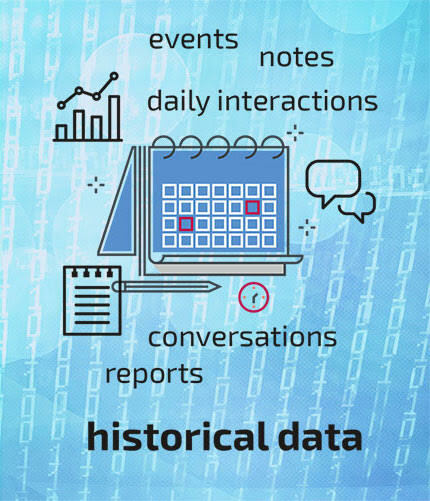 The third (but perhaps most important) type of data to track is your Historical Data. Historical data is not something that you can just add in one afternoon and be done. Rather, it is the living, breathing history that you and your client share. It is every task that you’ve done for them, every meeting you’ve had, and every phone call you’ve completed. Your Historical Data is built up over time in a couple of main areas. Taking Notes in your CRM is the number one source of historical data. Remember that Notes are always entered when something already HAS happened. Just got done with a phone call? Make a note. Just put in a trade request? Make a note. Just took out their RMD for this year? MAKE A NOTE. A second source of Historical Data is your Calendar and your Activities. Many advisors make the mistake of not fully utilizing the calendar in their CRM, opting instead to use their Outlook calendars, or those on their phones. While there’s nothing inherently wrong with this, you’re losing out on tracking the most complete version of your Historical Data in your CRM. Your CRM has a calendar for a reason; it can link the many calendar activities, phone calls, and tasks to the client records with which they belong. Then, once an item is marked complete, it is entered as a note on the contact record, something that HAS happened. As a third source for historical data, your CRM likely has some form of Process Management or Workflow tool built into the system. These tools are meant for you to build out your processes in a concrete, tracked way to make sure nothing will fall through the cracks. Building and understanding your workflows and processes is one of the more advanced, complex tasks you’ll come across when setting up your CRM, but these offer another great way to access historical information about interactions with your clients. We’ll go into a bit more detail on this toward the end of this piece. What info am I not collecting, that maybe I should take a look at? Most likely you have at least one way to contact your clients using their Rolodex information. You can add this information in the CRM if you haven’t already, as well as tagging it as a preferred method of contact. Beyond that, you should recognize not only what CRM data you care about the most, but also how you plan to apply it. Status and Category should be applied to as many contacts as possible to segment your book, and you can build custom fields for any information important to you for which you don’t find a preexisting field. Finally, instead of focusing on Historical data in the short term, make a plan with your office to apply consistency to your Note taking and Calendar usage. First and foremost, you should strive to have the most complete record of Rolodex Data for each client. Every phone number, every address, every email should be listed and labeled. Tax IDs are also important, particularly when utilizing integrations that tie in accounts to your CRM. Remember as well, most CRMs let you designate the differences between phone numbers and addresses. Don’t get a client’s P.O. Box confused with their Home address! 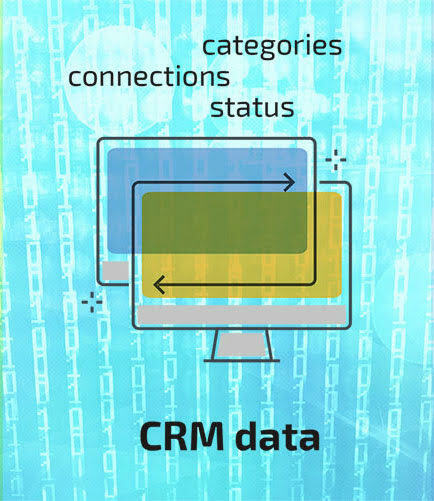 There’s also plenty of CRM data that will come in handy down the line, including familial relationships, additional identification and employment information, and lists you build to segment your contacts based upon commonalities that can really make the available integrations with marketing solutions sing! Lastly, when it comes to Historical data, those Notes and Activities are absolutely needed for you to reference past events with your clients and prospects. Trust is primarily established out of a shared sense of personal history with other individuals; if you are unable to recall or reference that history, you will be missing out on opportunities to reinforce and amplify your client relationships. This is perhaps the biggest data question advisors face when implementing a new CRM. 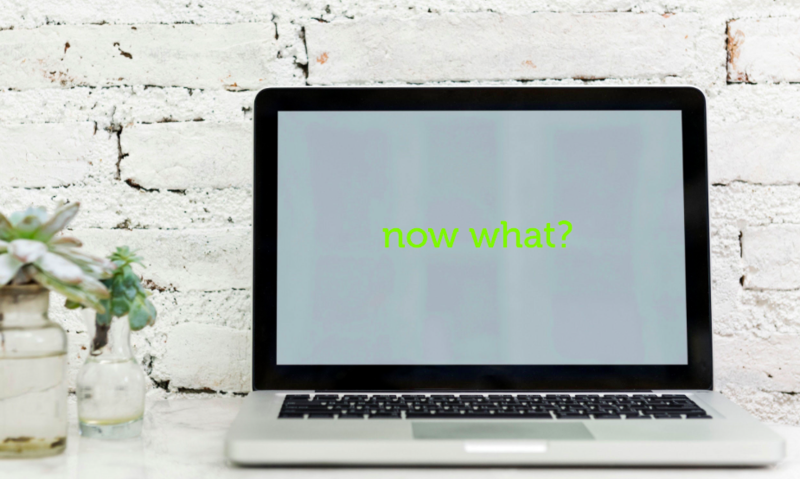 Sure, you’ve spent plenty of time and effort building the profiles and relationships with your clients, but what if you missed something? What if there’s something that might come up later that you didn’t account for? Let’s use the three types of data previously discussed to look at some pieces of info that you SHOULD be focusing on if you don’t already. 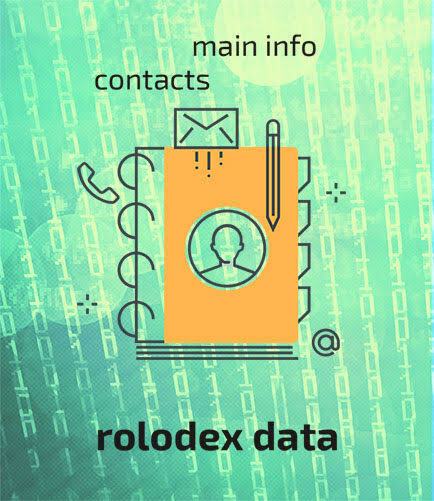 As mentioned before, you should be collecting as much of the Rolodex Data as possible, including all forms of contact information. This includes cell phones, pagers, faxes, work and home emails, and anything else you might use to contact them. Dates of Birth and Tax IDs are, of course, must haves in this profession for a variety of reasons. Finally, you should take a look at your Historical Data and what it might be lacking. Are you utilizing the Calendar of your CRM to actually link those many activities to your client records? Are you properly categorizing your Notes and Activities so that you can go back and report on them later? Are you even entering in those Notes to begin with? Your historical data in your CRM is perhaps the most important reason to have a CRM in the first place; treating that data with care and prioritizing it are going to pay off in big ways down the road. We referenced process setup at the beginning of this piece and in the section where we discussed process management and workflow tools as a great source for Historical Data. Because we believe getting your data right is the first thing you should concern yourself with in the very early stages of CRM implementation, we won’t go into any great detail here in terms of process setup. But, it would be neglectful not to mention that you should begin to tackle this either simultaneously with data setup, or at least very shortly thereafter. Probably the leading cause of CRM implementation problems is the failure to effectively communicate to staff your expectations about individual team members’ responsibilities in relation to CRM usage. A good rule of thumb practiced by many Redtail CRM offices goes something like this, “If it isn’t in Redtail, it didn’t happen!” But, to put this in practice, you have to educate your staff about expected usage and require that they follow through, both in terms of data additions and process adherence. Ultimately, how you set up your CRM is going to have repercussions well into the future. If you are cavalier and casual with your data and processes, you’re going to run into roadblocks down the road that prevent you from running your business effectively. Taking the time and effort to put together a plan for how to approach your data and processes is the only way to start with a CRM. A strong data setup game, coupled with well thought out and mapped processes, will spark efficiency upon efficiency and, ultimately, improve the overall effectiveness of your practice.